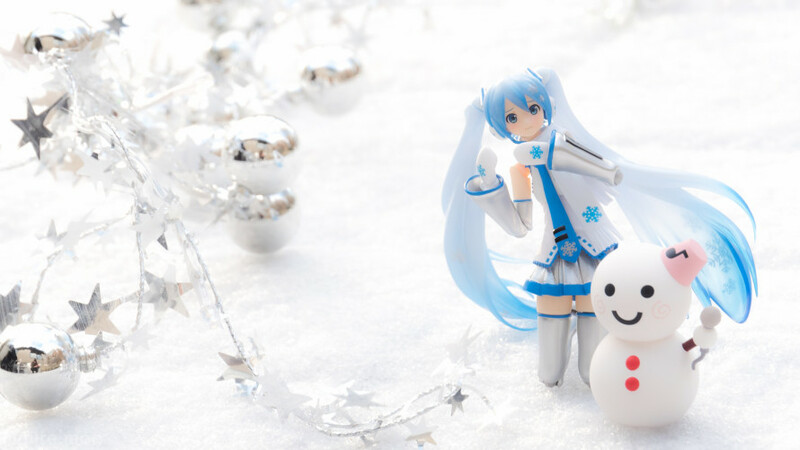 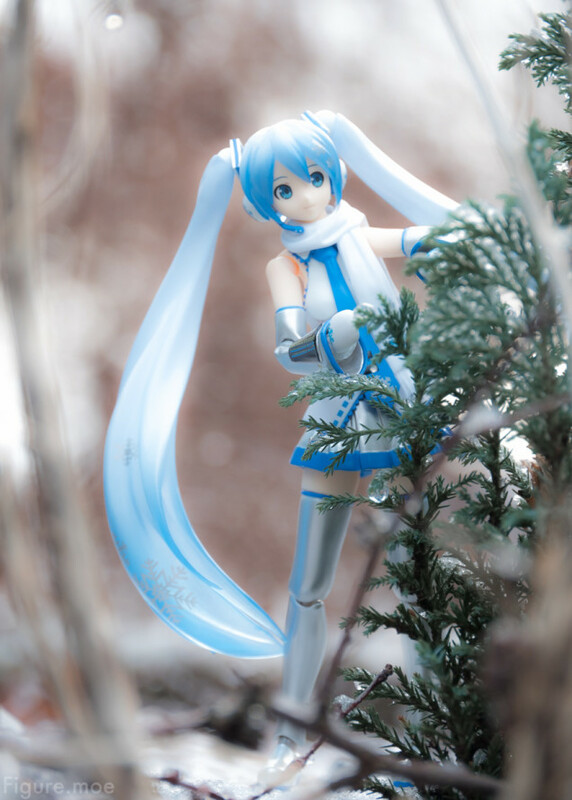 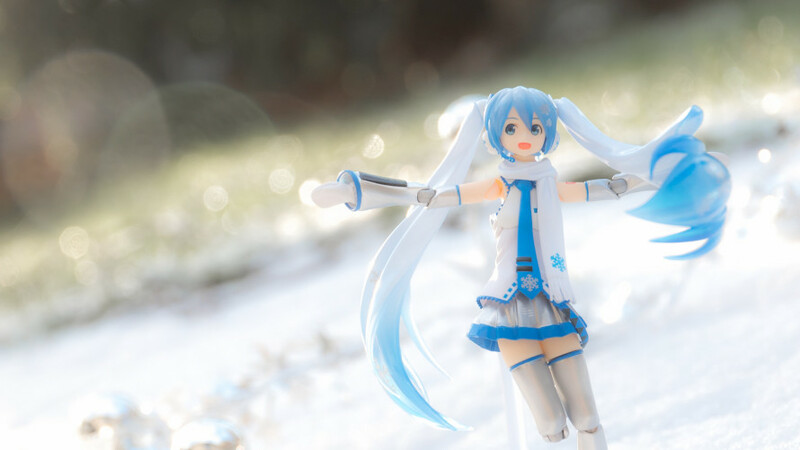 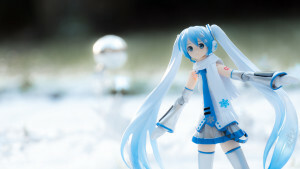 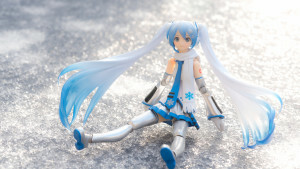 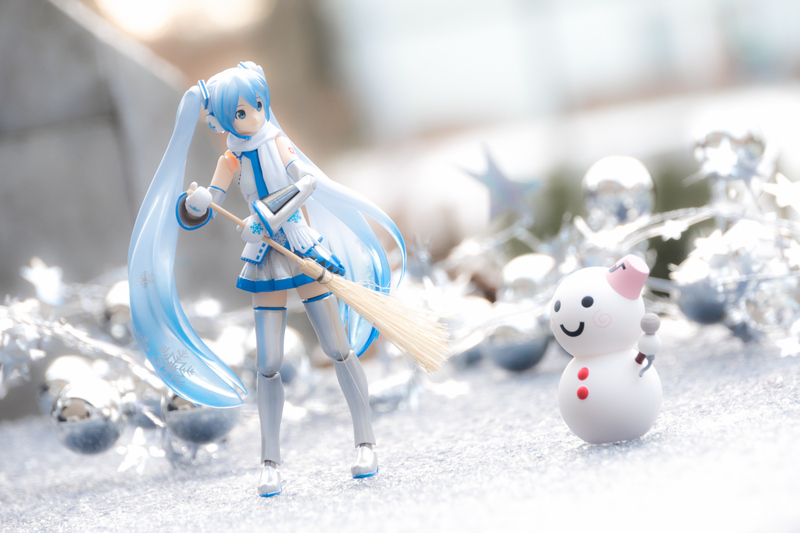 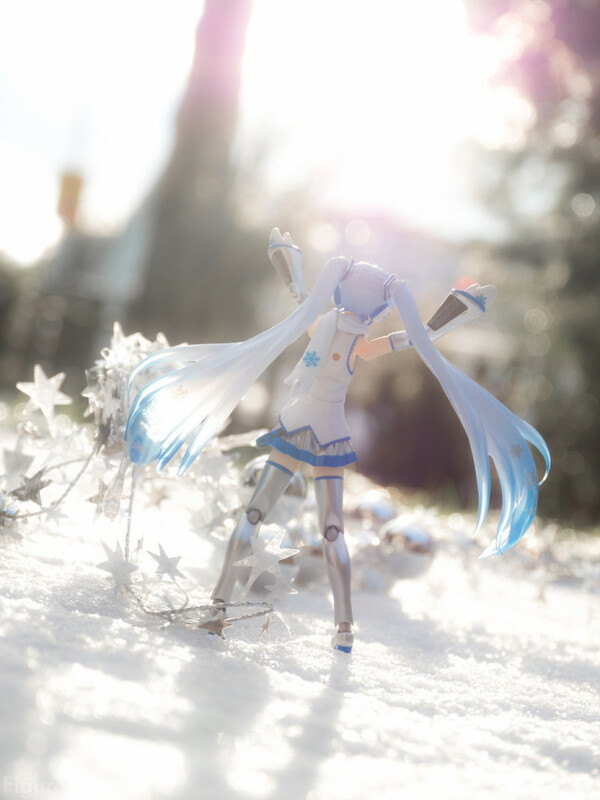 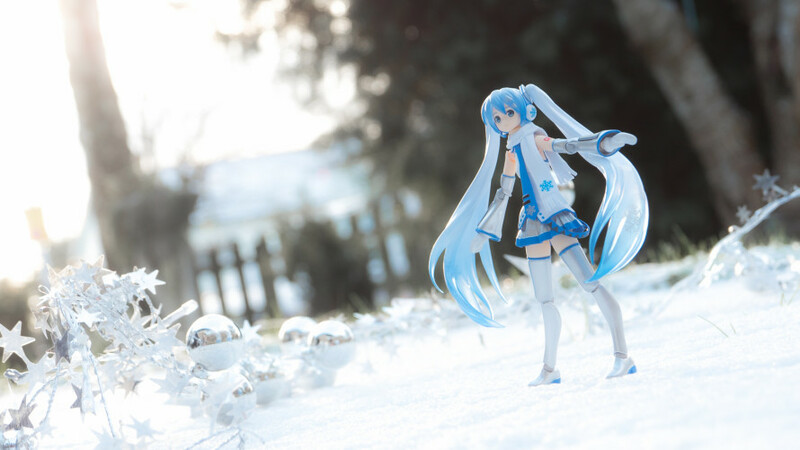 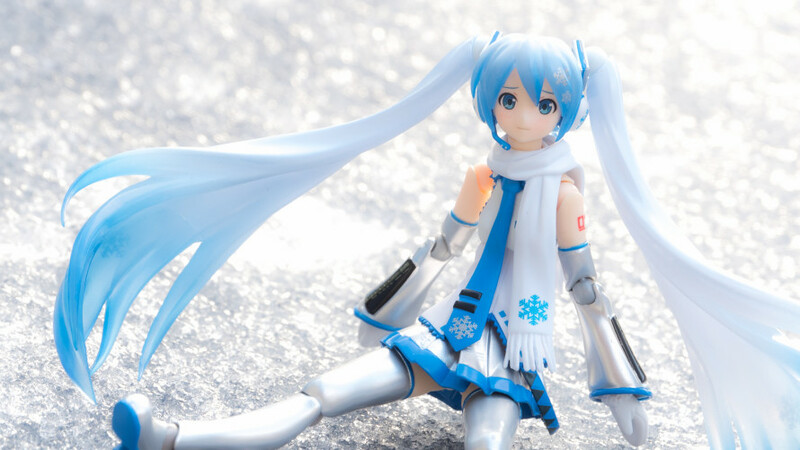 Waking up this morning and noticing the first snow this winter outside I knew I had to break out my unopened Snow Miku figma and do a photoshoot. Sadly, it was more ice than actual snow but I still managed to get some snowy looking shots. 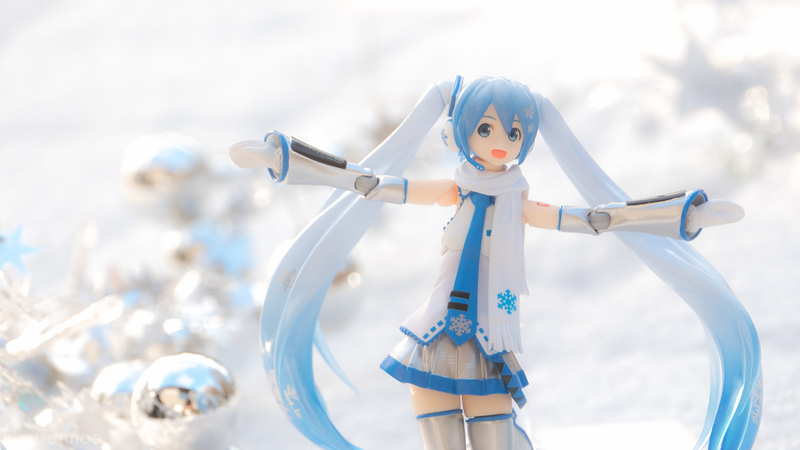 Pretty irritating when you get that perfect shot for one scene and then posing the figma for the next scene you noticed you messed up on the placement of an arm. This is one of those shots. 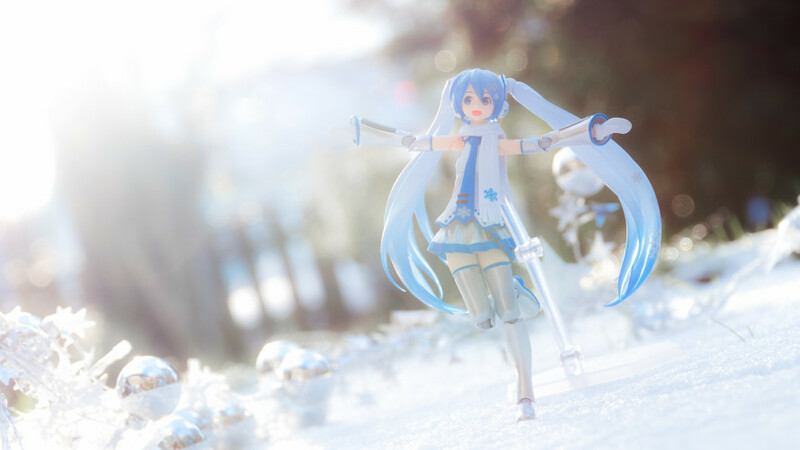 In the scene before I had Miku’s arms straight up, but forgot to rotate one of them back 180 degrees for this scene. 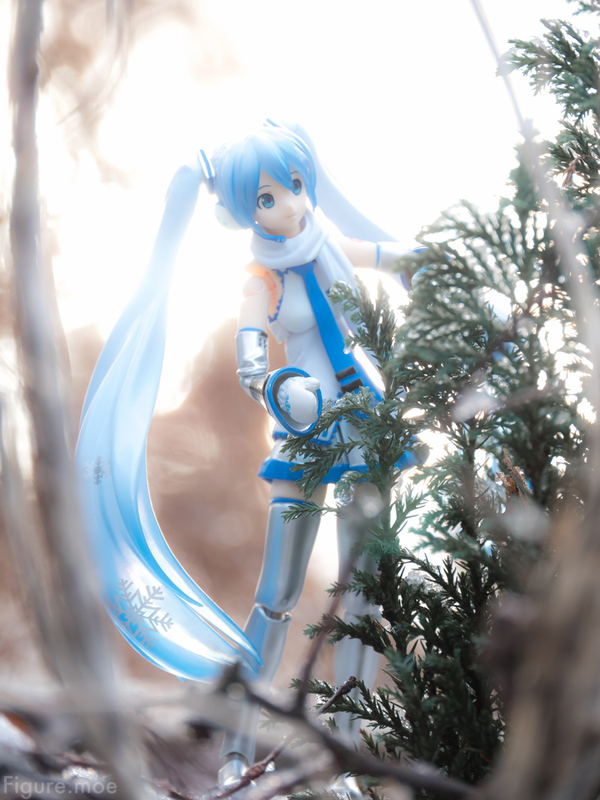 By the time I was doing the reshoot the sun had moved behind clouds and I could no longer get the same exact shot. 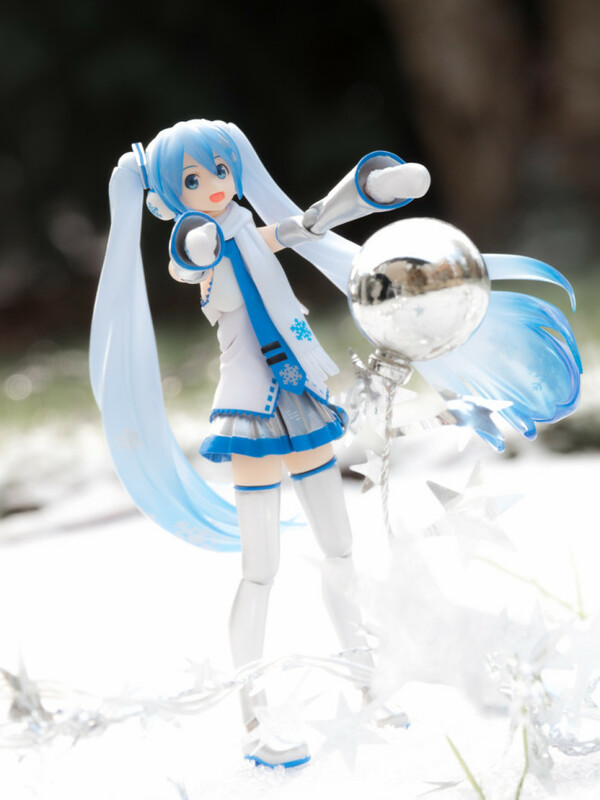 The shot below with a correct pose was the best I could do. 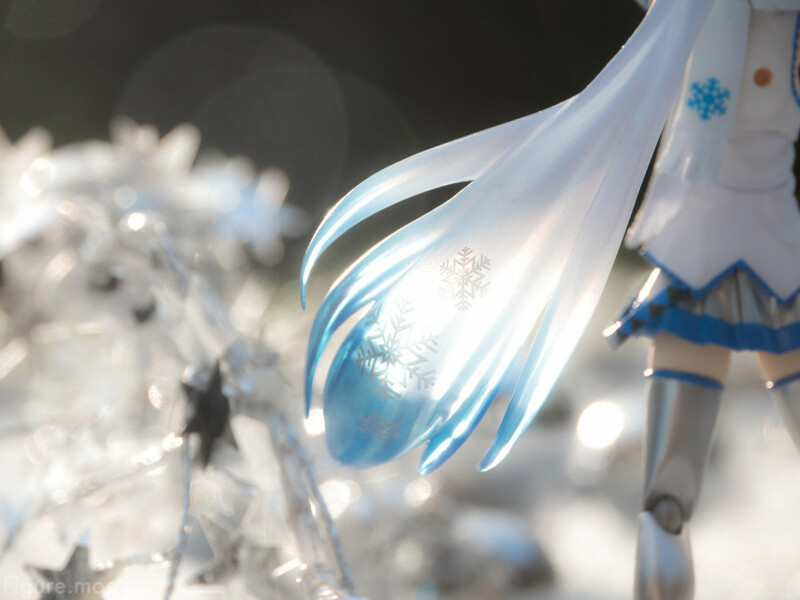 How pretty~ I love the bokeh you got from glimmering ice in the background. 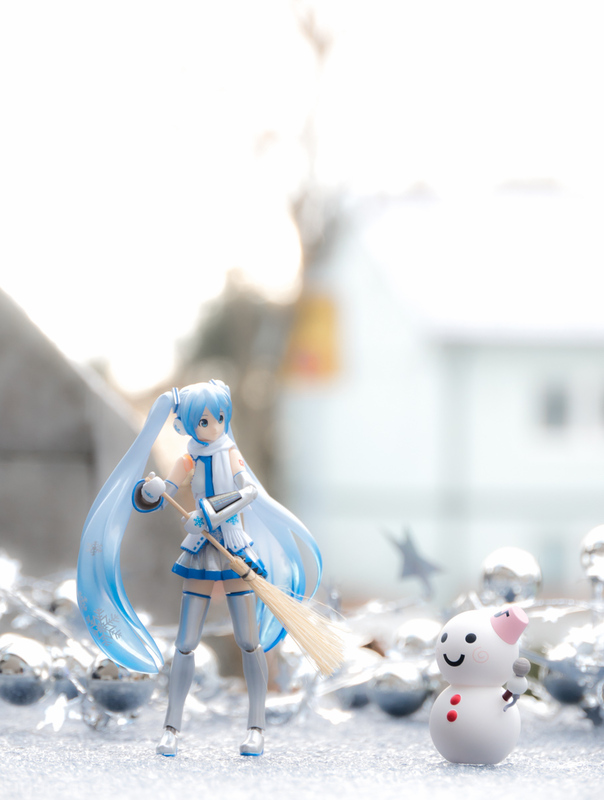 And adding those white bells and stars was a great idea to compliment the snow. 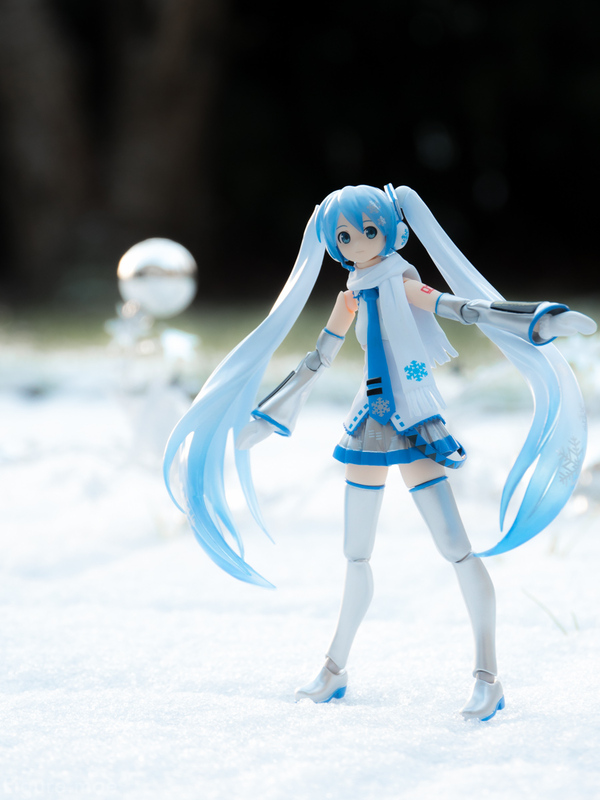 I hope you get snow soon then! 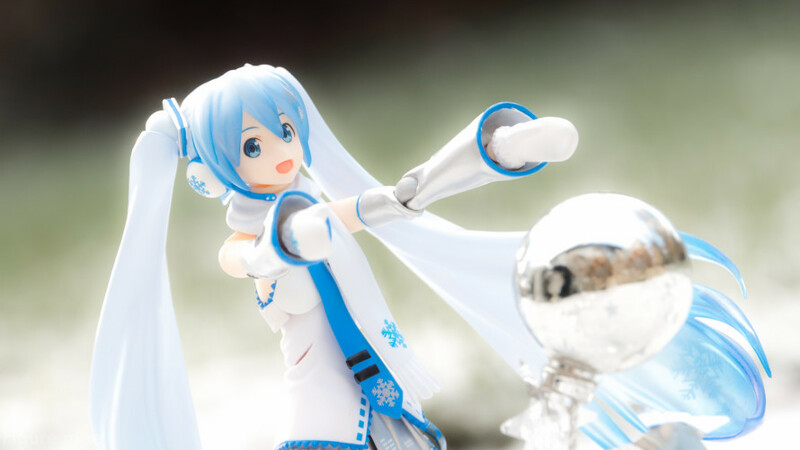 This is a really good shot set! 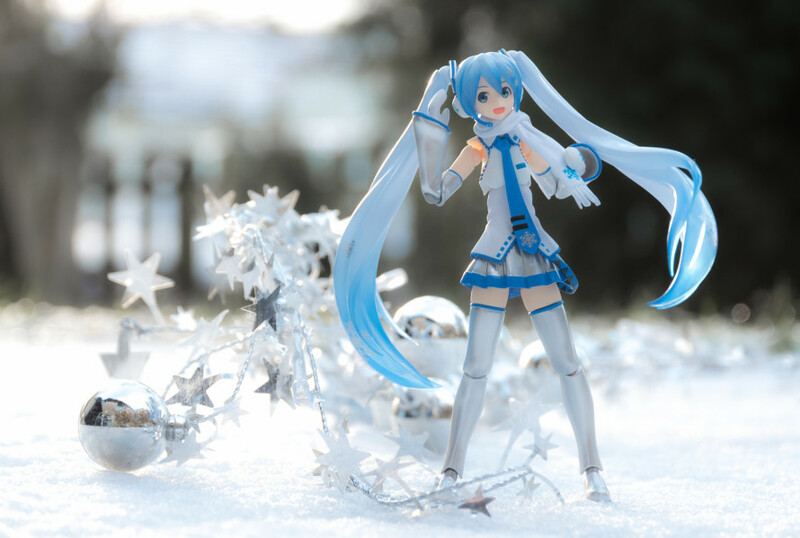 Everything just looks perfect!